How often do you clean your dishwasher? Probably not as often as you should. It’s ok, it wasn’t until a few years ago and looking into a dishwasher in an apartment I was trying to rent that I realized it was extremely important to clean a dishwasher. We often forget to clean our cleaning machines because the very nature of their purpose is to make sure things are clean. Not cleaning your cleaning machines though means clogged hoses and drains. To avoid the expense of replacing our machines we need to make sure that we clean them often. This keeps them in good working condition for years upon years. I should note here that a lot of the newer models of dishwashers and washing machines will already have a clean function. If yours does you probably don’t even need this post. This post is geared towards people with the older machines. It’s not uncommon for people to miss cleaning their dishwasher. The thing cleans our dishes with soap and hot water pretty much everyday, right? It would make sense to completely dismiss the dishwasher in our cleaning routines. The truth is while it won’t need to be cleaned often it does need to be cleaned. Food particles will end up at the bottom of your machine and stuck in crevices. You need to get rid of this and clean grime from inside your dishwasher or your dishes will not come clean and weird smells will form. Additionally, you may even notice a weird film on your dishes. This depends on how often you use your dishwasher. We use ours anywhere from once a day to every other day. I clean mine about once every couple of months with a deep cleaning about twice a year. My recommendation is to deep clean your machine and then watch the inside and in the crevices to see how often you need to actually clean it. Try doing a once a month or once every couple of month quick wash to see if it prolongs your deep cleaning needs too. It takes a bit of testing to figure out just how often you need to clean your cleaning machines. For the quick wash I simply fill a measuring cup with vinegar and place it on the top rack. I run the dishwasher with no dry and then once it’s complete I wipe out the inside with a wet rag. It doesn’t take much but it gets the grime off the walls, ceiling, and floor of the dishwasher. This simple task once every couple of months makes it so I don’t need to deep clean my washer but maybe twice a year. Though depending on what dishwasher you have can determine your needs for the quick clean too. For the deep clean I actually get into scrubbing the inside of my dishwasher and in the crevices of the door. This gets anything that might be hiding out and keeps your dishwasher doing it’s job. Step one is to sprinkle baking soda on the inside of the dishwasher. Then you run the dishwasher with on the no dry setting. Finally when the wash is done you remove the racks, if you can, and use a scrub brush and more baking soda to clean all the little crevices. Run another empty wash and your dishwasher and wipe out the inside with a clean rag. This will help to make sure you got anything left over and make your dishwasher smell and work like new in most cases. If you aren’t sanitizing the outside of your appliances you should be. Every member of your family touches those often and you never know what germs are on their hands. The outside finish of your dishwasher will determine what chemicals to use. Clean and sanitize your appliances at least once a week. It’s one of the fastest ways to make sure that germs don’t spread among family members. On my black appliances I use regular dawn dish soap. This cuts through grease and grime on the outside as well as kills any of those pesky cold and flu germs that might be floating around. From what I understand the dawn dish soap method also works on stainless and white appliances too. The gentle soap that’s tough on grease should work just fine on all finishes. You may need to use a dry clean microfiber rag to polish up your stainless steel though. While we are at it let’s take the bottom cover off and get underneath the dishwasher. Vacuuming the dust, food crumbs, and little stray hairs from our animals out from under the dishwasher. You may or may not be able to remove that bottom cover. Don’t stress too much if you are unable to take the cover off. Chances are high that it’s sealed enough that you will never have to worry about it. Always consult your owners manual to see how to remove covers. If you don’t have your owners manual just do a google search on the make and model of your dishwasher with the term owners manual. Most companies have online versions available. The final step to finish the cleaning project is to add your rinse aid. Rinse aid helps to keep water spots off your glasses. Rinse aid is best for people with hard water. Though I’ve used it in pretty much every single one of my dishwashers. 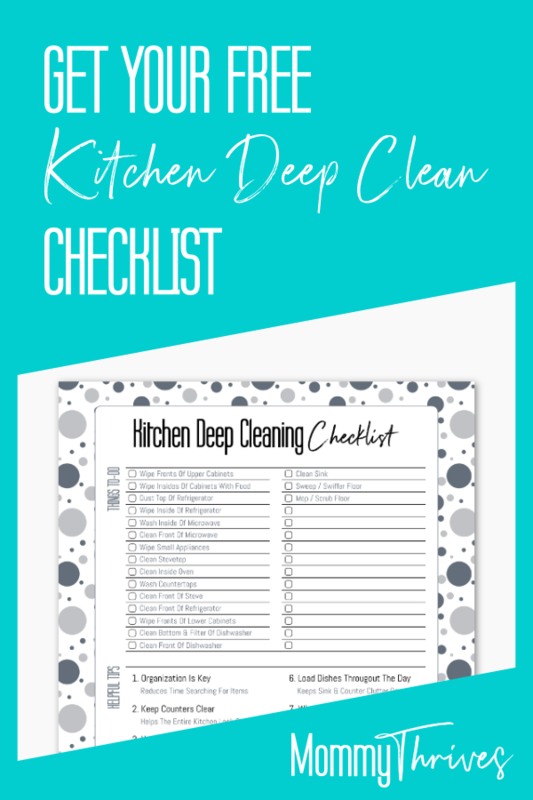 If you do regular wipedowns and your dishwasher is in great working condition – it won’t take long to clean it and it will be easy to keep clean. Dishwashers, like every other appliance, need to be periodically cleaned in order to keep them in great working condition. How often do you clean all your cleaning machines? Let me know in the comments below. Follow me on Pinterest for more like this and pin this to your cleaning boards.